This session is now fully booked. For more information on our Link & Learn schedule, contact Shelly Ovadia. 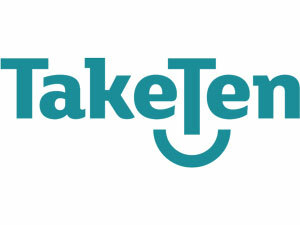 The TakeTen stress management session offers employees an insight on the impact of stress and anxiety. The session will outline how stress impacts their physiological, emotional and mental health in daily life. In order to cope well at work and at home we need strategies to learn how to respond better to stress and stressful situations. Developing strategies is a lot easier than most would believe. In this session we will show how the latest technology can be used to do that. Using TakeTen biofeedback software, we will demonstrate to the attendees in real time how their bodies respond to stressful thoughts and feelings. More importantly we will show how using simple techniques, individuals can counteract the effects of stress and anxiety and help to reduce stress hormones. We will show attendees how they can access the “green zone”, the state where the body is physiologically and emotionally calm and the brain is mentally alert and focused.